In order to produce high-quality images, it is important to understand how the pixel data of images is measured and displayed. 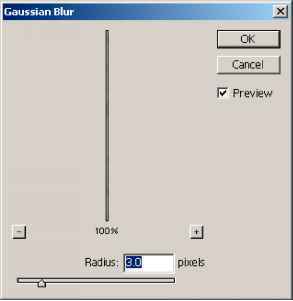 Pixel dimensions The number of pixels along the height and width of a bitmap image. 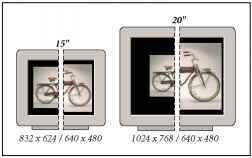 The display size of an image on-screen is determined by the pixel dimensions of the image plus the size and setting of the monitor. For example, a 15-inch monitor typically displays 800 pixels horizontally and 600 vertically. An image with dimensions of 800 pixels by 600 pixels would fill this small screen. On a larger monitor with an 800-by-600-pixel setting, the same image (with 800-by-600-pixel dimensions) would still fill the screen, but each pixel would appear larger. Changing the setting of this larger monitor to 1024-by-768 pixels would display the image at a smaller size, occupying only part of the screen. When preparing an image for online display (for example, a Web page that will be viewed on a variety of monitors), pixel dimensions become especially important. Because your image may be viewed on a 15-inch monitor, you may want to limit the size of your image to 800-by-600 pixels to allow room for the Web browser window controls.